This could have been boring and degrading. Instead, The Blue Castle is a lovely story that warmed my cold and bitter heart. Valency Stirling is the thirty-year-old product of living in a small-minded and snobbish family. She has never been courted by a man, no one has ever taken an interest in her, and she feels like she is going through life but not living. After unfortunate news from a doctor, she decides that she can’t live like this any longer, and goes her own path. In its heart, The Blue Castle is a romantic story. But it’s quite important to point out that the book isn’t just romance. In the first half of the book, there are some small hints and some minor attractions, but the romance isn’t the focus at all. The Blue Castle is about Valancy, and how she changes. And I loved that she didn’t need a man to change – she her emancipation is all of her own doing. Only after she becomes her own woman, she finds love. It seems to me that in many books relationships are seen as miracle workers – once a man comes into your life you’re cured of depression, anxiety, trauma… Men aren’t miracle workers. They can be amazing at supporting you on your own road to becoming a happier or better person, but it’s not just because of them. I loved how Ms Montgomery let Valancy stand on her own and be her own person, and didn’t define her by her man. The story is set in Canada, and one of Valancy’s passions is nature, and books about nature by her favourite writer John Foster. There are plenty of beautiful descriptions of the weather and the trees. I’m personally not much of a nature person (hate all the icky insects) but I do like reading about it. 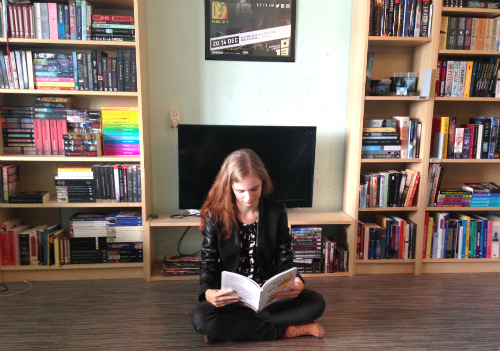 Ms Montgomery is a great writer, and it was great to see rural Canada through her eyes. The ending might be predictable if you’re familiar with the genre, which is why it wasn’t a five-star read for me. The ending didn’t blow me away, but I enjoyed it in a quiet way. In the end The Blue Castle made me happy, and that’s the only think I was looking for. Valancy Stirling is 29, unmarried, and has never been in love. Living with her overbearing mother and meddlesome aunt, she finds her only consolation in the “forbidden” books of John Foster and her daydreams of the Blue Castle—a place where all her dreams come true and she can be who she truly wants to be. Shortly after her birthday Valancy receives some news about her health that makes her decide to throw caution to the wind and make a fresh start. Rebelling against her family she soon discovers a surprising new world, full of love and adventures far beyond her most secret dreams. 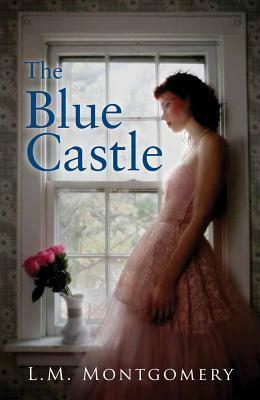 One of Montgomery’s only novels intended for an adult audience, The Blue Castle is filled with humor and romance.